The 4000 series pressure transducer provides exceptional levels of stability and other performance specifications in a wide variety of enclosures from submersible to differential styles. By using a sputtered sensing element, which achieves a molecular fusion of a strain gauge material, an insulating material, and the 17-4 PH ss sensing element, the 4000 series transmitter provides the most stable sensor construction possible. 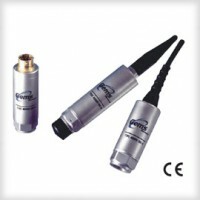 These sputtered sensors are packaged for harsh applications requiring long term submersible service where precise laboratory type measurements are required. Also in the 4000 series pressure transducer is a range of high performance amplified sensors with voltage and current outputs. These laboratory specification sensors utilize the same thin film sensor as 4000.